Red Bull Sound Select is back for a second year of 30 Days in LA, a month-long concert and event series featuring big-name talent paired with up-and-coming acts on the verge of something great. Each and every night in November—including Thanksgiving—Red Bull will host a concert, dance party, movie night, record swap or other equally awesome event, and each will be free or affordably cheap. The lineup is packed and totally bonkers, so to help you decide which shows to secure tickets for right now, we teamed up with illustrator Rob Dobi to bring to life a handful of music-loving personalities, then sussed out which shows they'd be most stoked to see. 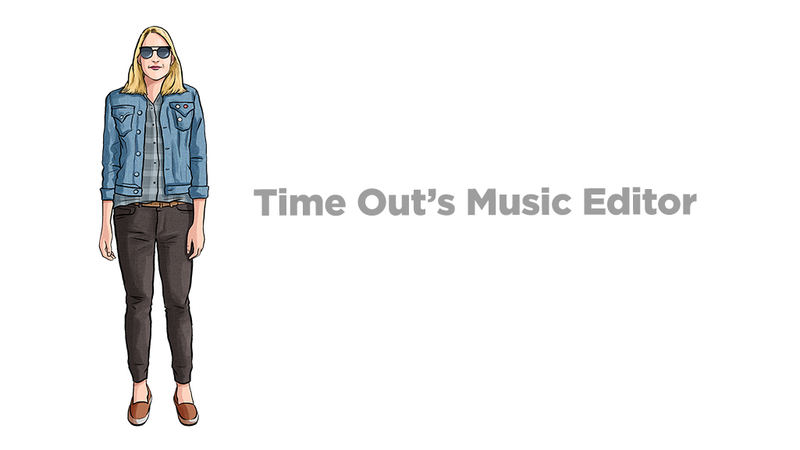 Figure out which of the six you align with best, and you'll have a list of at least four must-see shows (though honestly we wouldn't stop there—this is just to get you started). 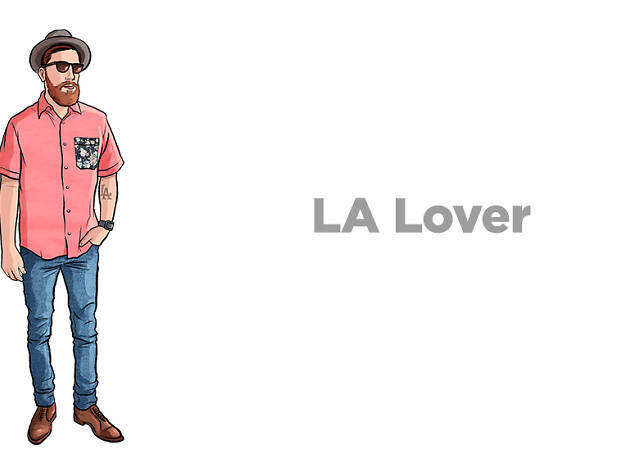 The LA Lover is super psyched on all things Los Angeles. 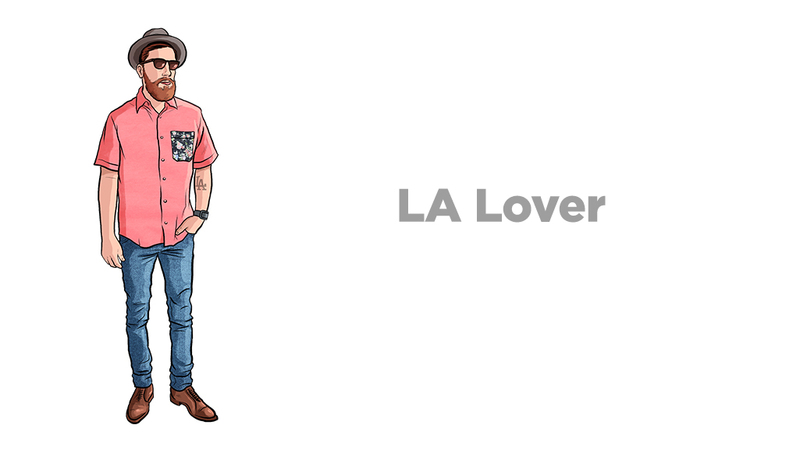 He's got a finger on the pulse of the city at all times; he knows the city's streets, its storied venues and all its local bands—because they're always his favorite bands. TV on the Radio + Gallant, because Gallant is LA's own answer to the Weeknd. Saturday, Nov 14 at the Theatre at Ace Hotel. Schoolnight, because this Monday night staple has been showcasing up-and-coming local acts for years. Monday, Nov 16 at Bardot. No Age + In the Whale + So Pitted, because No Age is a homegrown Angeleno act. Wednesday, Nov 18 at the Echo. Vince Staples + Loaf Muzik + Martin $ky, because Vince has been repping LA since '93 (he turned 22 in July). Tuesday, Nov 24 at the El Rey. 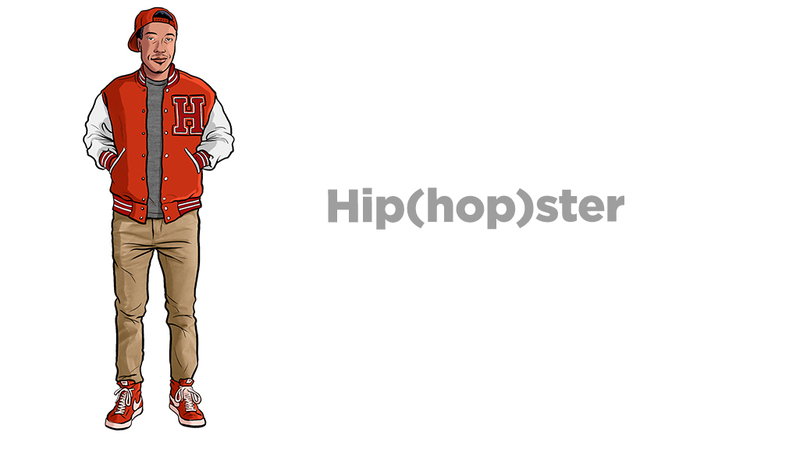 The Hip(hop)ster is the first to know about new tracks, album drops and rappers so fresh they're not even legal (cough, Lil Herb). 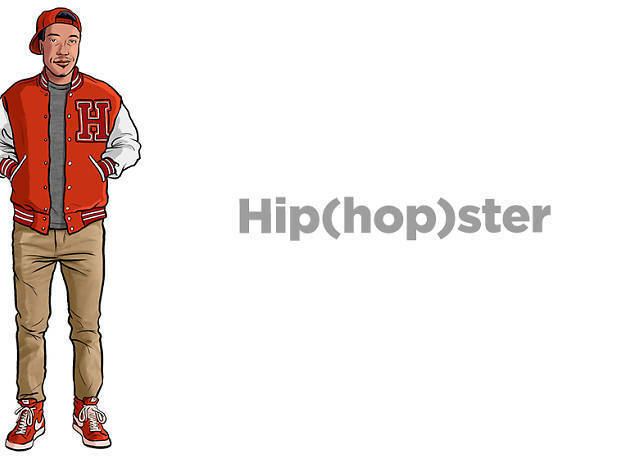 Underground hip hop is his thing, though you can probably get him to admit his love for the big guys, too. Joey Bada$$ + Lil Herb + Warm Brew, because Joey is indeed a badass and Lil Herb won't be lil for long. Wednesday, Nov 4 at the Belasco Theater. Big Sean + Mick Jenkins, because Jenkins is putting out some of the best stuff we've heard in a while. Saturday, Nov 21 at the Hollywood Palladium. Vince Staples + Loaf Muzik, because Loaf Muzik combines soul and jazz samples with modern beats and killer rhymes. Tuesday, Nov 24 at the El Rey. Ilovemakonnen + Basecamp + Jazz Cartier, because Ilovemakonnen has been on Drake's radar (and his tracks) since 2014. Saturday, Nov 28 at Mack Sennett Studios. 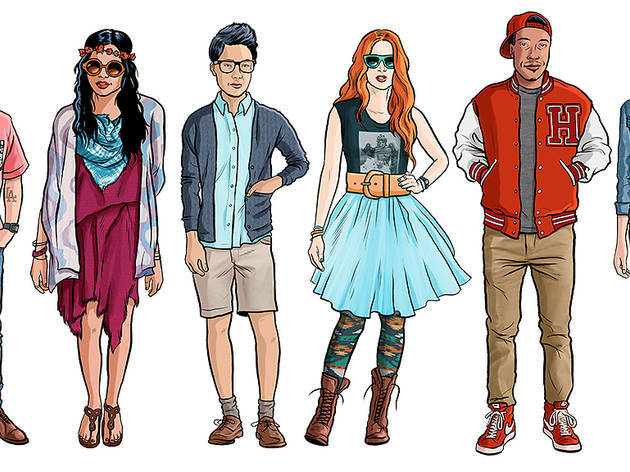 The Nostalgia Junkie wishes she'd been born in another decade. Her fashion choices, favorite books and movies and especially her taste in music are all influenced by a bygone era, somewhere between the '60s and '90s. Wax on Wax because a record swap in a museum where old stars are enshrined forever in their glory days is a double win. Sunday, Nov 1 at Madame Tussaud's. Club Vinyl, because it's a vinyl-themed happy hour inside a Hollywood landmark from the '90s. Friday, Nov 13 at Amoeba Music. After Dinner Movie, because High Fidelity is an ode to the simpler days where a mixtape said it all. Thursday, Nov 26 at the Regent Theater. Foals + Son Little + Novosti, because Son Little's soulful, bluesy sound takes us way back. Sunday, Nov 29 at the Wiltern. 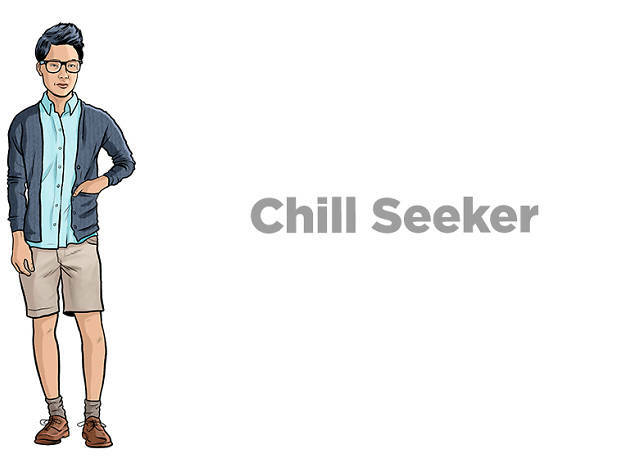 The Chill Seeker is always looking for a good, mellow time. He's not the guy in the mosh pit or the one clamoring for an autograph—you can usually find him leaning comfortably along the bar or the wall, taking it all in with a smile and a nod. 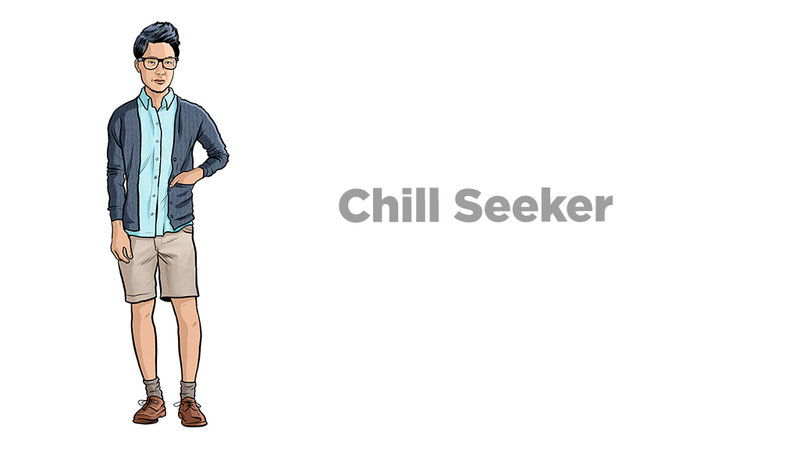 Toro y Moi + Young Magic + Roger Sellers, because Chaz Bundick = chillwave. Monday, Nov 9 at the Teragram Ballroom. BADBADNOTGOOD + Sam Dew + Charlotte Day Wilson, because jazz and singer-songwriter shows are relaxed affairs. Friday, Nov 20 at Tower Theater. Backyard BBQ, because a barbecue is two steps down from a house party, but still real fun. Wednesday, Nov 25 at TuneIn Studios. After Dinner Movie, because watching High Fidelity sure beats small talk with distant relatives over cranberry sauce. Thursday, Nov 26 at the Regent Theater. 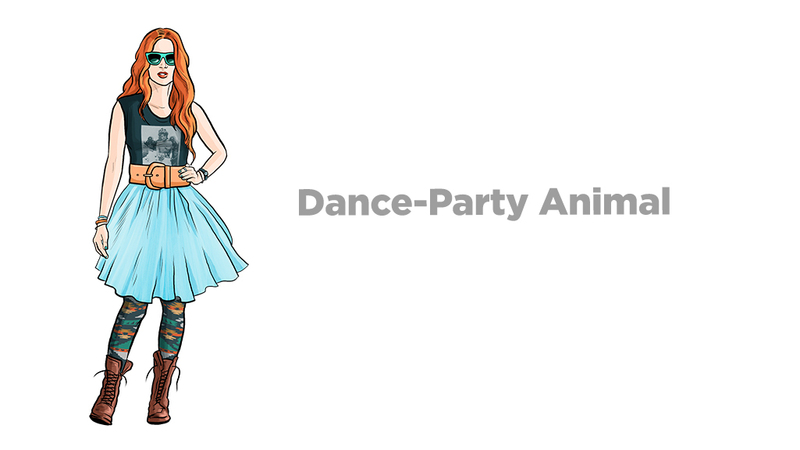 The Dance-Party Animal has an excess of stamina. 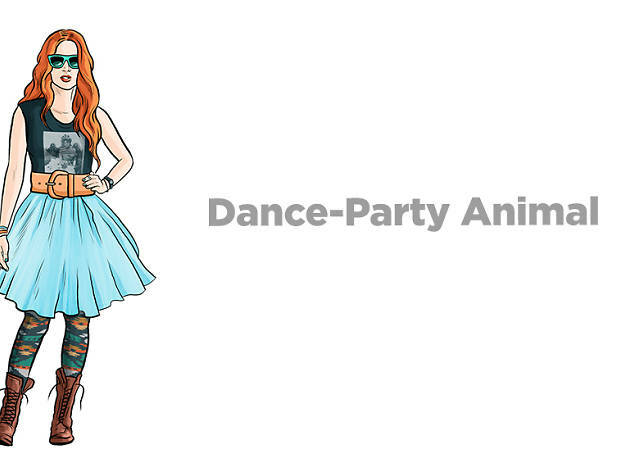 She can party all night and loves DJs, her fellow partiers, the bartenders—everyone, really. She's after high-energy music that she can move to. Shura + Tennyson, because you've got to hear the crazy noises brother-sister instrumental act Tennyson uses to make their melodies. Sunday, Nov 8 at the Roxy. Kiesza + The Flavr Blue + Phantoms, because Kiesza is one badass babe, especially live. Tuesday, Nov 10 at Exchange LA. Flume + River Tiber + Taskforce, because Flume is really having a moment right now. Thursday, Nov 12 at the Mayan. The Left-Over + Harriet Brown, because this is Red Bull's version of the Do-Over, and Harriet Brown's deep cuts are thoroughly dance-worthy. Friday, Nov 27 at Lure. 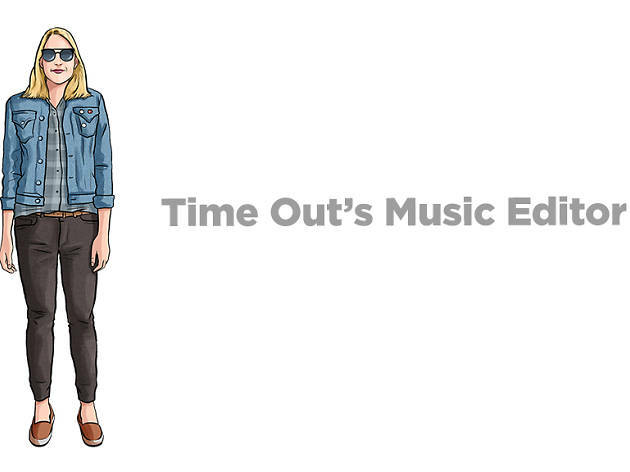 If you're anything like Time Out's music editor, Kate, you're a fan of pretty much every genre. You're always on top of what's new and exciting, but old-school acts get you just as pumped. You know what you like, but are always, always up to try something new. Grimes + Nicole Dollenganger, because Dollenganger's sweet, airy voice and dark, disturbing lyrics create a dissonance that's addictive. Monday, Nov 2 at the Mayan. Chromeo + Cakes Da Killa, because Chromeo is fun, and Cakes is twice as fun. Friday, Nov 6 at Mack Sennett Studios. Raury + OSHUN, because 18-year old Raury is dripping with style and promise, bound to do big things with his genre-bending sound. Monday, Nov 23 at the Sayers Club. SECRET SHOW!, because Red Bull will definitely go out with a bang, and why the hell not? Monday, Nov 30 at Teragram Ballroom.